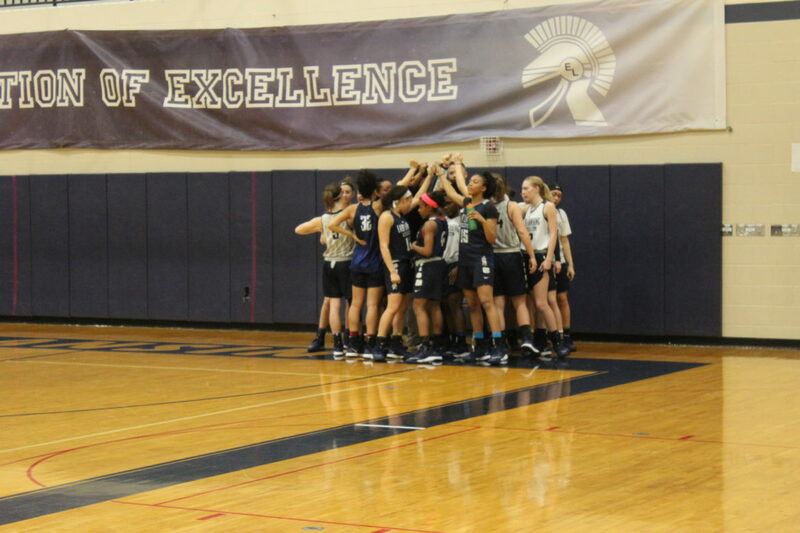 East Lansing girls basketball team huddles for team speech. Winning is the main objective in sports, but the journey is what you remember. East Lansing started the year on a rocky road, going 2-9 in the preseason. After hitting stride and finishing the regular season undefeated, the Lady Trojans had championship aspirations heading into the playoffs. The team fought through the playoffs and survived a few bumps in the road, including an accident with their charter bus before heading to Grand Ledge for the district semi-final. This didn’t stop the fight in the team, and they were able to reach the championship. The East Lansing Lady Trojans fell short at the state championship game where they lost, 57-36, to Saginaw Heritage. Head Coach Robert Smith calls this a great season for him and the team despite not being able to achieve their dream. Smith said this season helped reinforce his love for coaching the game and said he is excited about their future. 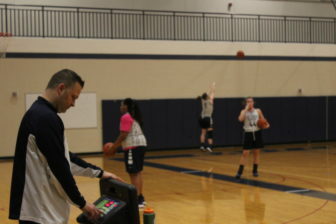 Robert Smith prepares the clock for his team in practice. Nye is ready for the challenge of becoming a prominent leader on the team. Although the team wasn’t able to bring home the championship trophy, they are looking forward to the challenges of next season. Dervon Thompson is a journalism major at Michigan State University. He is proficient in Adobe software and has knowledge of CSS properties as well. He is a sports fan and music connoisseur. He hopes to become a sports or music writer for a publication that puts truth and honesty first. The high school band battled giant speakers that were blasting music. The gym was full of students and parents watching in anticipation, cheering for their favorite teams. It was the championship game of the 50th floor hockey season at East Lansing High School.